Just a quick hello from Rita and Rocco! 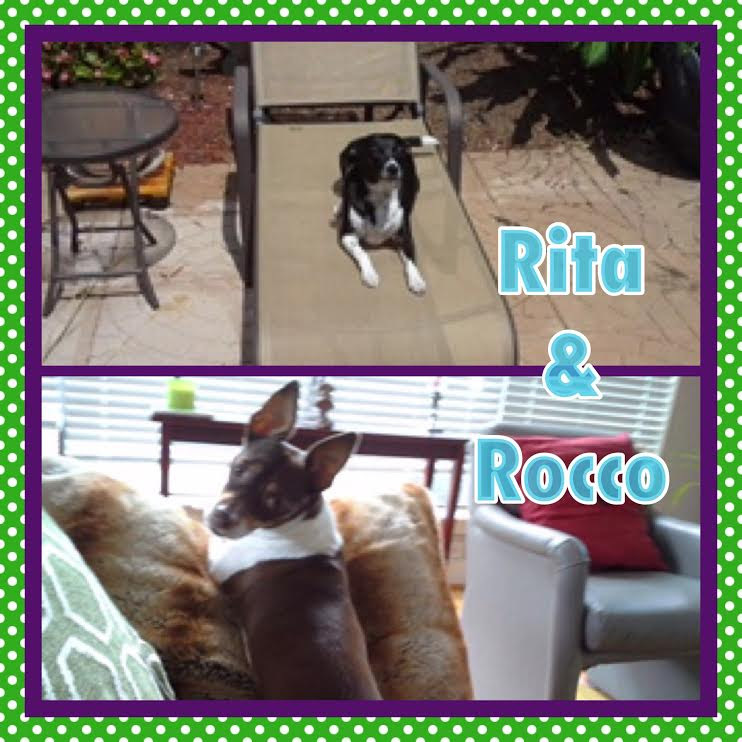 Rita loves to sunbathe on the back patio and Rocco was posing for his G-Q cover shot. They continue to thrive and have totally claimed the house as theirs, we are merely lowly servants residing with them. They make us laugh everyday and we just can’t help but to spoil them rotten and we love every minute of it. This June they will have been with us for 3 years and for many more to come. I just want to thank K-9 Angels for bringing Cora (formerly Beauty) into our family. We didn’t know we were missing anything until we fostered her. She was abused but whoever had her taught her all her tricks and trained her. Her social skills are improving with strangers but she loves meeting new dogs. 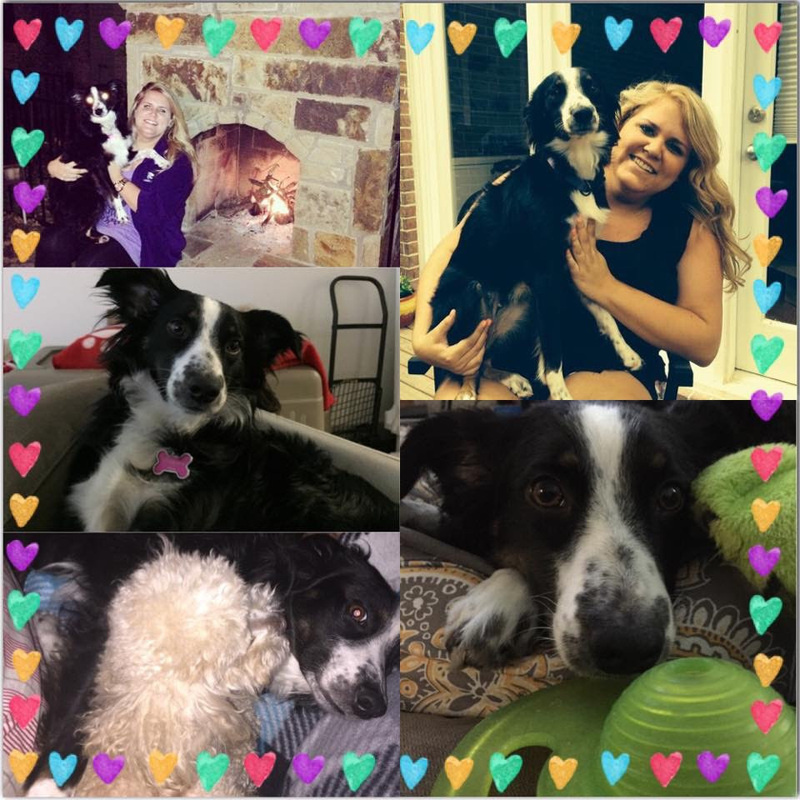 She loves cuddling and chasing her ball or playing with her sister Ellie. Thanks for all you do for the puppies of Houston. She means the absolute world to us! 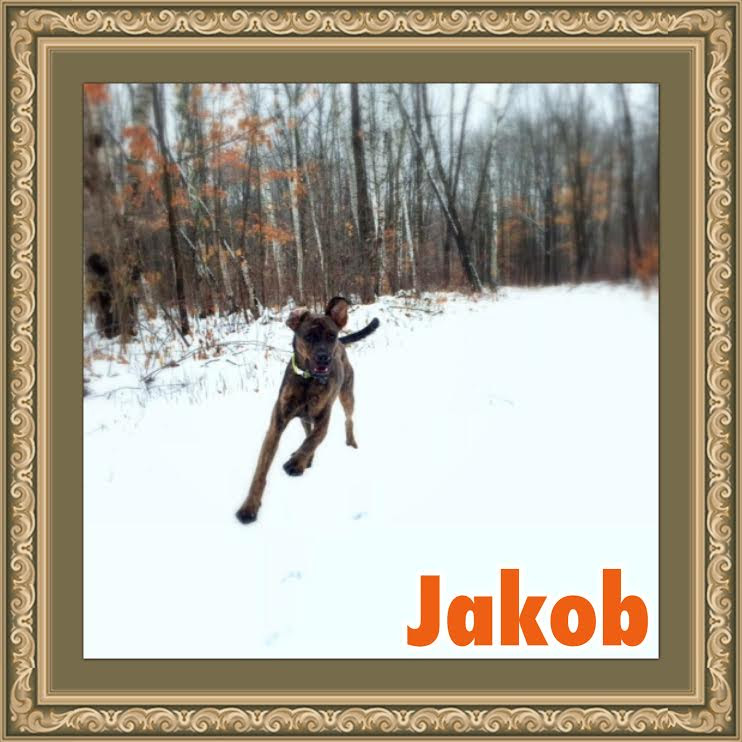 Jakob is adored by his family. He is sometimes mischievous and loves to play with the kids. He road tripped to Wisconsin for Christmas and loved the snow. 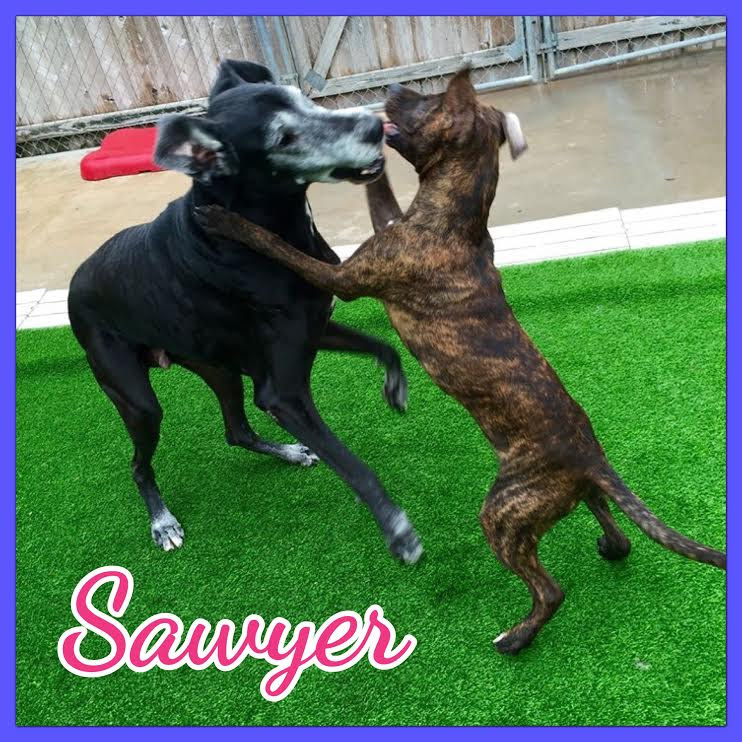 Sawyer’s doing great! He’s being a good boy. He loves going to the dog park and has a new BFF (picture) at daycare at Demi’s Dog House. 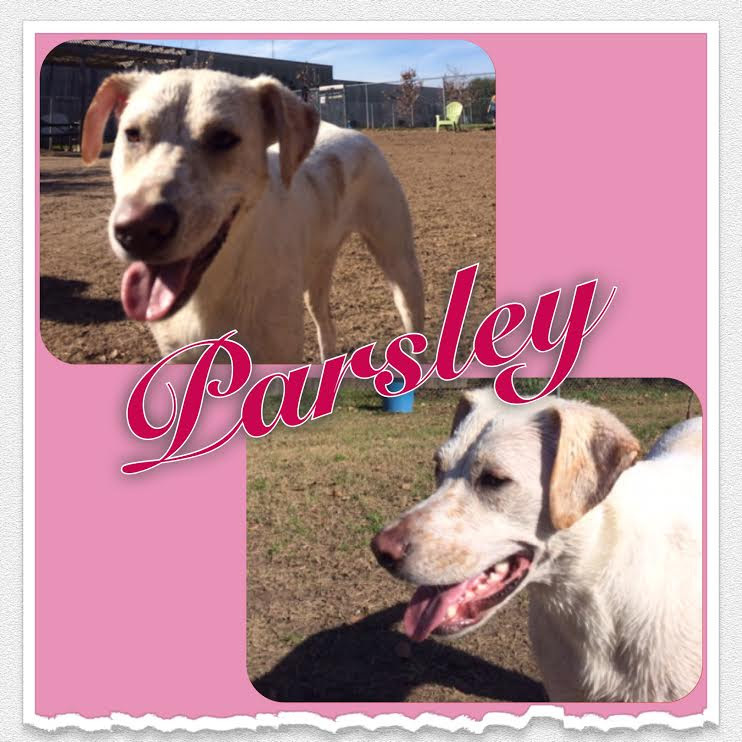 Parsley is a happy girl and full of life. She loves going to the dog park, loves playing with other dogs, toys, and in the pool. 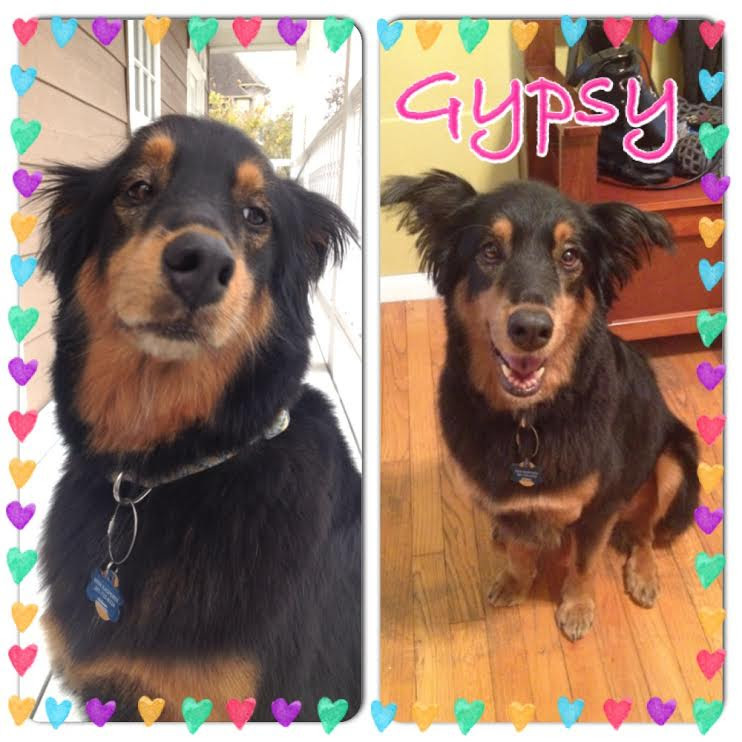 I adopted Gypsy in June 2014 and she is doing great! She has been such an awesome companion for me. She loves chasing squirrels on our morning walks, playing at the dog park, and of course playing catch! She is a smart girl and I enjoy seeing her show affection to people she recognizes like my roommate and my mom. She isn’t bothered by much, but she definitely doesn’t like the UPS truck! It’s been so fun getting to know her and all her quirks these past several months. Thanks K-9 Angels!